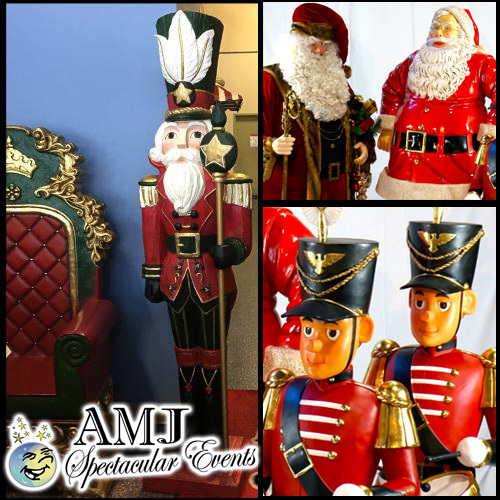 Are you looking for an indoor Santa Statues, Wooden Soldiers or Wooden Drummer Boys Statues for your holiday decor? We have them all. How about a beautiful five and a half foot wooden toy drummer to make the statement you are looking for. When you need to add to your Christmas props and decorations, this wooden toy soldier rental is the one that will bring a happy, festive feeling to all who see him. This nutcracker drummer soldier toy decoration is a sight to behold, he is straight from the pages of your childhood favorite fairy tale and is ready to make a statement. This handsome statue stands on a sturdy circle of green wood with black laced boots and a shiny red uniform holding a black drum and topped off with a big traditional hat. 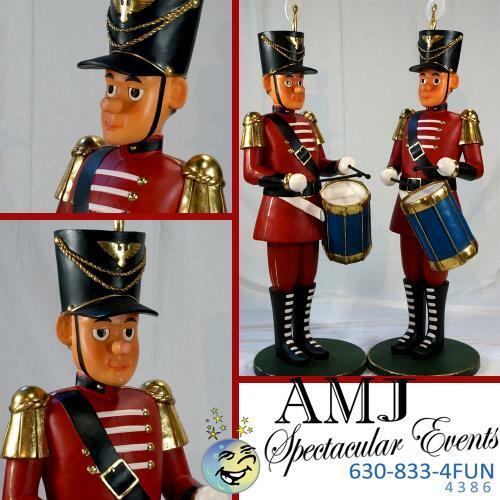 He is sure to spread good cheer when this wooden toy soldier Christmas decoration is placed in the perfect location for your next holiday event. Bring holiday magic to life with this wooden beauty! This life-sized toy drummer is ready to be a centerpiece or add to the corner decor of your festive home, office or holiday party. 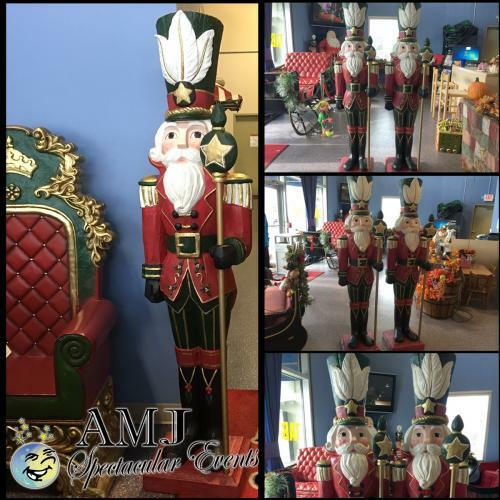 This life sized toy soldier is ideal for entryways and foyers-welcoming your guests to your party, event, store or home this holiday season! Call us now and we will help you with one of these great props for your Holiday parties!